A new asphalt shingle roof was installed on this home. The roof has a 30 year warranty from the day of installation. The roofing company who installed the roof is Clancey Roofing of Sacramento. A great place in the backyard with a number of wine and table grapes. There are 10 vines of Zinfandel, 8 vines of Muscat, and 5 vines of white seedless table grapes. Get a digital copy of the Zada Fileta in your own secure account to manage the home moving forward. 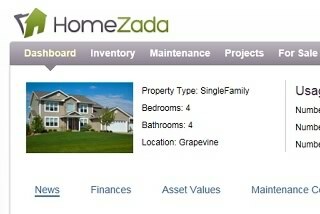 Learn how to manage your largest asset with HomeZada for Homeowners. Agents can learn more about Real Estate Lifecycle Marketing.